Press release with links to original videos here. We work for truth, justice and environmental sanity every day. We keep on with the hope that there will be a moment when the evil and corrupt acts that politicians and big business carry out that harm the planet, violate human rights and affect the health of our communities will see the light of day. Today is one of those historic moments. In 2011, a mysterious package arrived at our D.C. office. Beat up, rumpled and with no return address, a staffer avoided opening it fearing it may have been a bomb. We could never have guessed that the contents would instead turn out to be a smoking gun in one of the largest and longest-running environmental cases in the world. In the tradition of whistleblowers like Daniel Ellsberg, whose Pentagon Papers exposed the US secret war in Southeast Asia; Jeffrey Wigand, whose information on big tobacco's use of addictive ingredients exposed and transformed the industry; and Sherron Watkins, whose revelations on Enron's pyramid-scheme accounting led to the collapse of the company and jail time for executives, we are proud to share The Chevron Tapes. "I hope this is useful for you in the trial against Texaco/Chevron!" Signed, "A friend from Chevron." A trap? A whistleblower? We didn't know, and began to review the videos. What we found will shock you. Because Chevron has finally been proven in its own videos not only to have lied about contamination, but to have hidden evidence it knew would cost lives. It rolls like this: Chevron, which acquired Texaco in 2001, had just been found guilty of one of the worst environmental disasters on the planet in Ecuador's Amazon rainforest. Ordered to pay $9.5 billion to clean up their contamination, Chevron instead fled the country and actually went on to sue the victims – communities – in the US for extortion. During the trial against Chevron in Ecuador between 2003 - 2011, the judge carried out dozens of inspections of former Chevron well sites, where affected communities, the company, and the court all took soil and water samples to test for contamination. The videos – shot by Chevron – document the company and its consultants conducting pre-inspections of the sites so they would know where to take "clean" samples on the day of the inspection by the judge. As you'll see in the footage, that task proved much harder than Chevron had thought it would be. Employees and consultants are caught on tape frustrated by their inability to find soil samples without oil, and then mocking the contamination. "Nice job Dave. Give you one simple task: Don't find petroleum." "Who picked the spot Rene? Who told them where to drill, Rene?" "Oh, so it's my fault? I'm the customer, I'm always right." 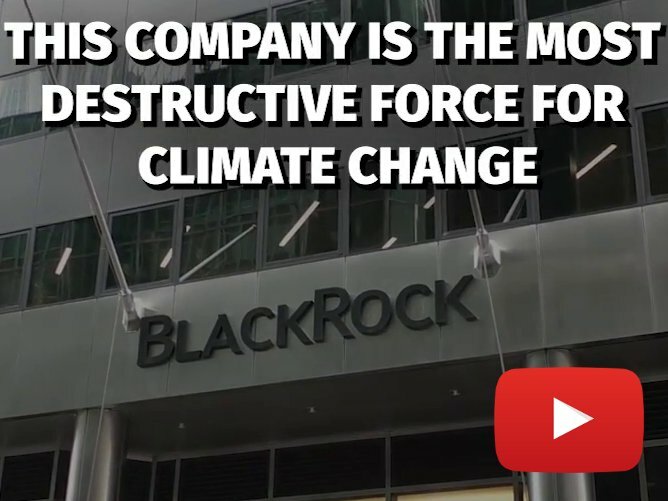 Yes, this is exactly what it sounds like: big oil caught on video – their own video! – trying to hide contamination. In the excerpts released today, Chevron is seen finding its own extensive contamination – in areas the company claimed to have cleaned up in 1998 – then pre-gaming the judicial inspections to defraud the court. I was at many of the judicial inspections with our team from Amazon Watch, and we witnessed numerous other Chevron efforts to fool the court and throw the case. We watched Chevron take soil samples from illogical places – upstream from waste pits, never down gradient from potential contamination sources. 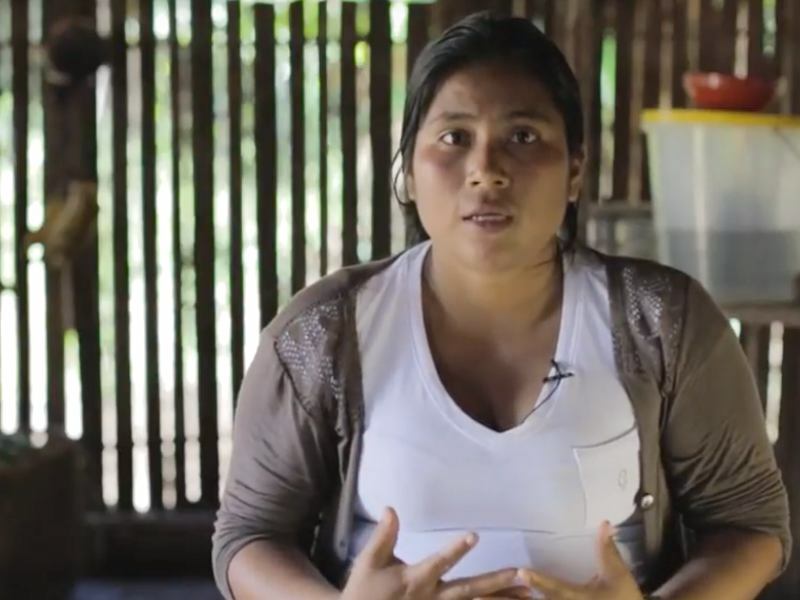 We saw employees, consultants and security intimidate indigenous and campesino witnesses who were coming face to face for the first time with the people who poisoned them. We were there when Chevron, staying at a local military base, colluded with its hospitable hosts and produced a phony military report citing a "security risk" that successfully canceled the first judicial inspection of a major well site in the territory of the Cofán, an indigenous group that bore the brunt of Texaco's arrival in the 1960s. As the videos blatantly demonstrate, Chevron's effort to hide contamination and get "clean samples" proved challenging. While Chevron never submitted the test results from these "pre-inspections", its samples from the actual inspections show stratospheric levels of contamination, which ultimately led to the guilty verdict against the company anyway. Also on the tapes are interviews with local communities. Chevron obviously searched to find people who either didn't have knowledge of its toxic legacy, or who would put the blame on Ecuador's state oil company Petroecuador – who took over Texaco's operations, crumbling infrastructure, rusty pipelines and problems in 1993. As the videos show, anyone living there recalls in vivid detail the way they were treated by the company. And while they did manage to find a few people who said they didn't experience any problems, or that Petroecuador was worse, those people were admittedly recent inhabitants at the time having only lived there for six months. Some may have even been enticed by company claims that its 1998 clean up made the areas safe for inhabiting. The videos are a true treasure trove of Chevron misdeeds and corporate malfeasance. And, ironically, Chevron itself proved their authenticity. 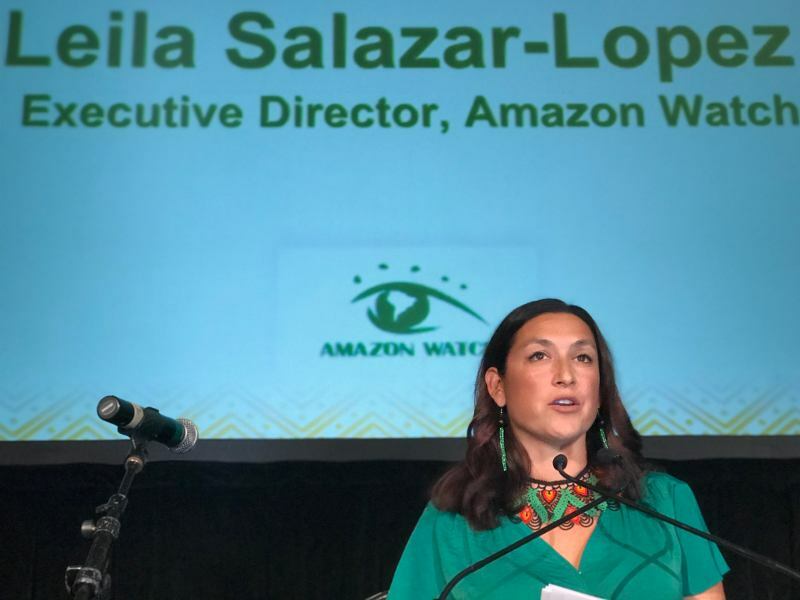 Amazon Watch turned over the tapes to the legal team representing the affected indigenous and farmer communities. When the plaintiffs' lawyers tried to use the videos in court to cross-examine a Chevron "scientist", the company objected. A letter sent by Chevron's legal firm Gibson Dunn to counsel for the communities states, "These videos are Chevron's property, and are confidential documents and/or protected litigation work product. Chevron demands that you provide detailed information about how your firm acquired these videos and your actions with respect to them... In addition to providing this information, Chevron demands that you promptly return the improperly obtained videos and all copies of them by sending them to my attention at the above address." But it turns out that falsifying evidence is nothing new for Chevron and Gibson Dunn. The firm is currently under scrutiny in London, where one of its partners faces charges for submitting fraudulent evidence implicating a man in a terrorist attack. But the evidence shown in the videos is just one part of Chevron's fraudulent effort to dub the Ecuador judge and sabotage the trial. In fact, when you take this together with the rest of Chevron's tactics, it becomes strikingly clear that the company set out to play dirty. Given its difficulty in finding "clean samples", the company threw in the towel and in some places just swapped dirty well site samples with dirt from the roadside. Then it brought in "experts" to verify the samples, but used a company "playbook" to hide the original source of the samples. And remember Chevron's two "concerned citizens" who allegedly uncovered a plot to bribe the presiding judge? It turned out that one of the men involved was a convicted felon, now on the lam in Peru. The other worked for Chevron! It all sounds very Erin Brockovich, or A Civil Action. But this is why Chevron wanted the case tried in Ecuador – the company hoped desperately that it would get away with fraudulent acts like this. Perhaps the most astounding chapter of this whole story is that Chevron filed a RICO case in NY against communities and their legal team, accusing them of fraud and extortion. But even that is rapidly falling apart for Chevron. New forensic evidence from the presiding judge's computer, which Chevron asked a court to order, backfired. It actually shows the company's claims that the plaintiff's lawyers bribed a judge to "ghostwrite" the Ecuador verdict – are implausible and false. Armed with this new evidence, the plaintiff's appeal of Chevron's RICO case will be heard April 20th before the Second Circuit in New York. And Canada's Supreme Court should be rendering its decision on the communities' effort to seize Chevron's assets in a matter of weeks. Shareholders should be asking some serious questions about the story they've been told from Chevron senior management over the company's legal and ethical conduct in the Ecuador trial, and the impending liability that just won't go away. While these videos can now not only be seen by the court of public opinion, they could become evidence in other jurisdictions where the communities have been forced to turn in efforts to seize Chevron's assets as a way of forcing it to comply with the Ecuador judgment. This is a good day for truth and a good day for justice. Please share The Chevron Tapes far and wide, and continue to take action to keep Chevron from getting away with the environmental crime of the century. As for the whistleblower who wondered whether the videos would be helpful? We'd certainly say yes, indeed. Thank you, "friend from Chevron."